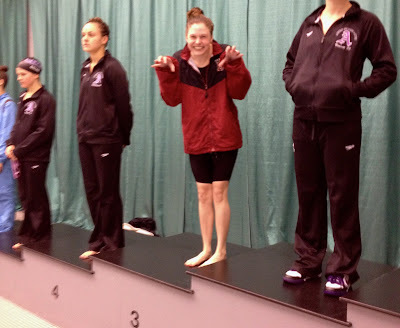 One-hundredth of a second — for Newburyport native Elle Sergi, that fraction of a second was the difference between third and fourth place at the New England Small College Athletic Championships and a place on the All-NESCAC team. Needing just a bit of good fortune, the junior standout swimmer for Bates College out-touched her competitor in the 50-yard freestyle to break her own previously held school record set earlier in the meet with a time of 24.04. Sergi would finish the meet with another pivotal performance in the 200 freestyle relay where she once again helped her relay team earn third place with a time of 1:36.57, earning another school record and another spot on the All-NESCAC team. “One of the things that is key in our sport is consistency,” Bates swimming coach Peter Casares said. “Our season is very short. It starts Nov. 1 and ends at the end of February, and most swimmers know you’ve got to be committed 40 to 50 weeks out of the year." “She took on a full year approach to her junior year,” Casares said. “She started in the summer wanting to learn more and do more while helping out at our camps. She was a great councilor and coach, but she also really invested in her season at that point - right there in the middle of June. It was just a wonderful thing to see her hard-working approach pay off when February rolled around. “The consistency she displayed really paid off,” Casares said. 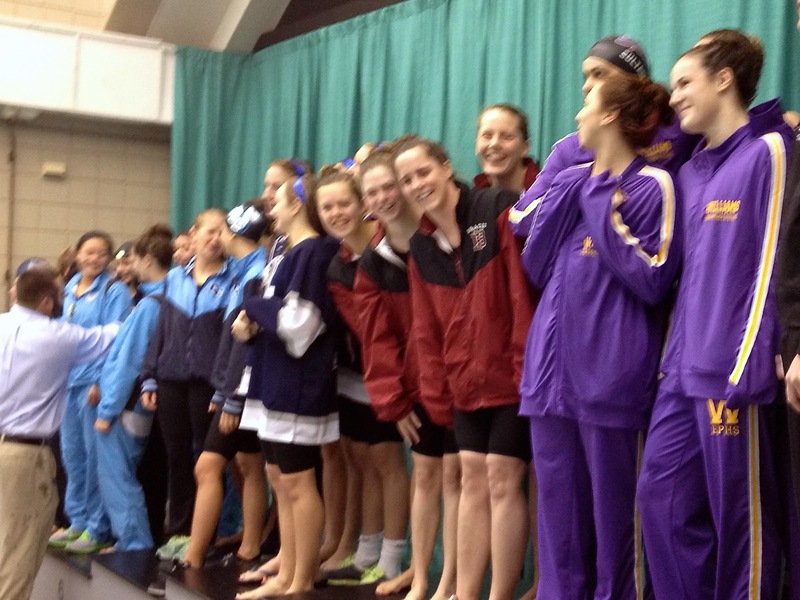 “You can get hot in most sports, but in swimming a few "great" moments don't make a season. I need my swimmers giving me nine solid months than only three or four great weeks, and she was very good from June all the way through to February. She peaked at the right time, which is what it is all about, having the right timing, have that work behind you. 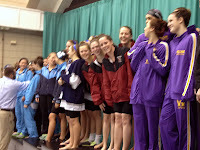 As for the meet itself, Casares said the 200 freestyle’s All-NESCAC performance was the first for a relay team at the school since 1994. Giving credit to her offseason workouts, Sergi said there were a combination of factors that led to her success in the pool.